Born in Boston, MA, Tony always had a passion for engineering and technology. He went to Melrose High school, enlisted as Infantry in 1991 and finished all his schooling while working a full time job as RTO (Radio Transmissions officer) in the Army. Later, Tony held executive level positions and excelled in the development of managed services, strategic account management and business development. His overall background is in IT, MSP, SaaS and IoT and he has a degree in Business Management as well as a Masters in Electrical Theory. 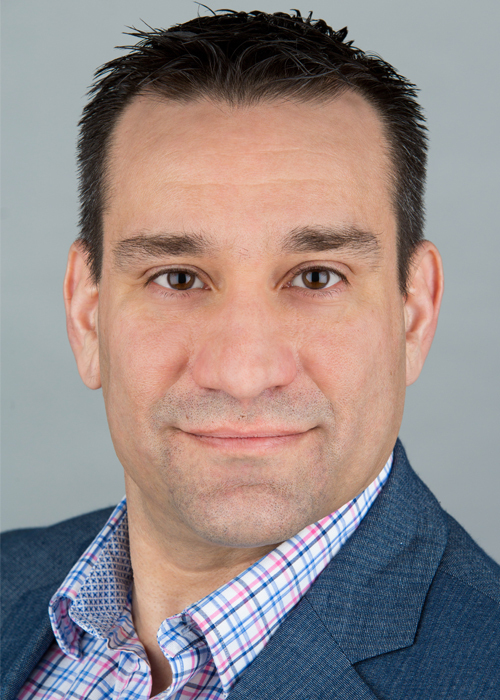 Tony is responsible for leading and developing the vCIO team at Ongoing Operations through strategic account management and executive level engagement. His main objective is shaping the vCIO team as the top class of managed service consultants to the Credit Union industry. To do this, he is refining strategy and process surrounding customer engagement and training vCIOs on sales and business development processes. Tony is also involved in contract development and negotiations while always working across the aisles with the other teams to ensure the best internal and external results. Tony currently lives in Hampton Falls, NH with his family and enjoys fishing, Crossfit, Brazilian Jiu Jitsu and anything related to the outdoors.